North Melbourne is a suburb that lies 2 km north-west of Melbourne's Central Business District. Formerly known as Hotham, it was essentially a working class area, with some middle class pockets, and was one of the first towns in Victoria to be granted Municipal status. Today it continues to undergo gentrification, noted for its Victorian architecture, cosmopolitan demographic, commercial and older industrial areas. 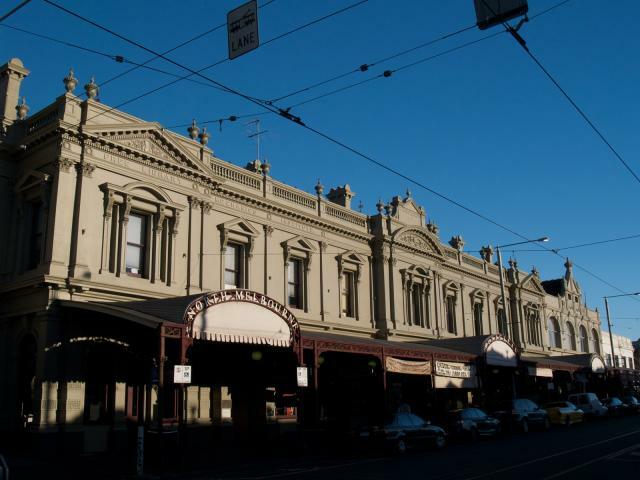 The main shopping strip of Errol Street is located around the old North Melbourne Town Hall. Since the 1990s it has become something of an upmarket strip, home to a number of popular cafes and boutiques.